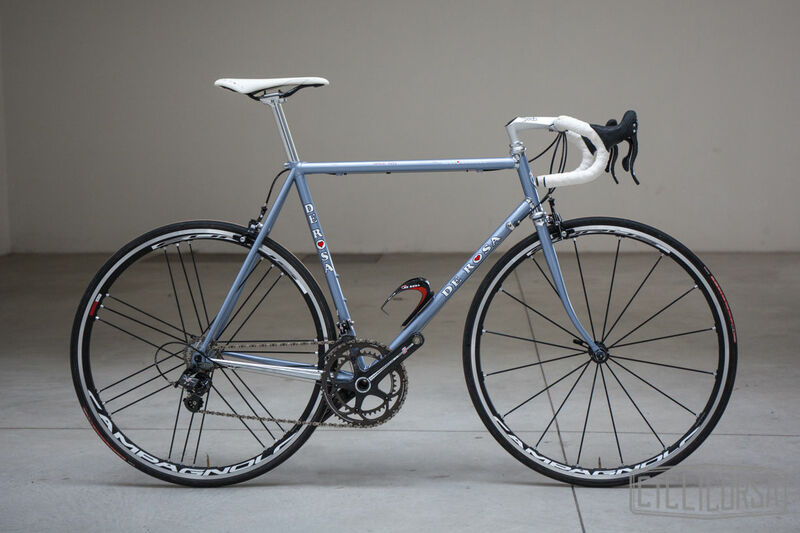 Although it's not a real vintage bike, this De Rosa Nuovo Classico is of vintage heritage and well worth a look. 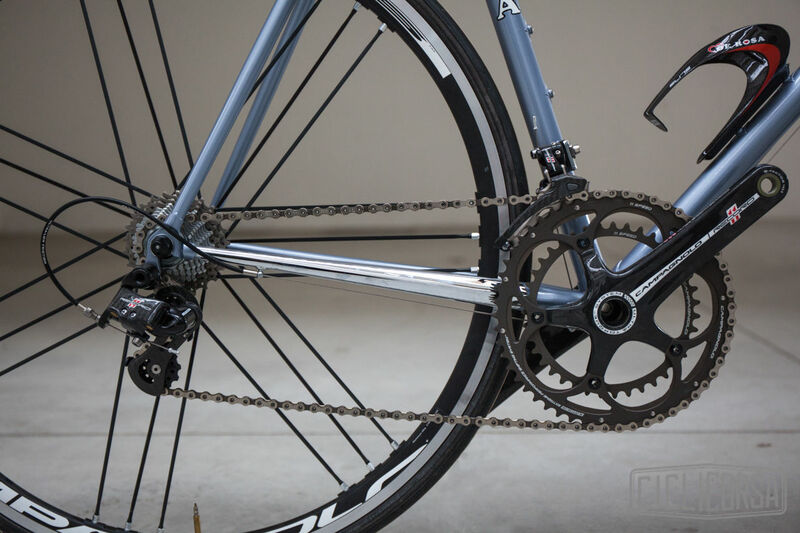 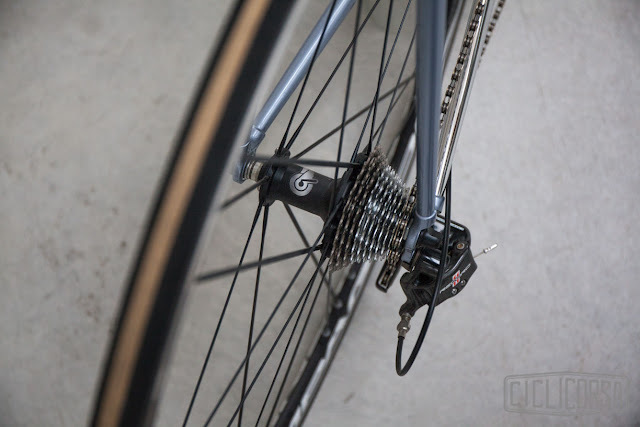 Fitted with a Campagnolo Record 11 speed drive train and a Campagnolo Eurus wheel set this example is sweet on the eye and very desirable for any cyclist with an interest in steel. 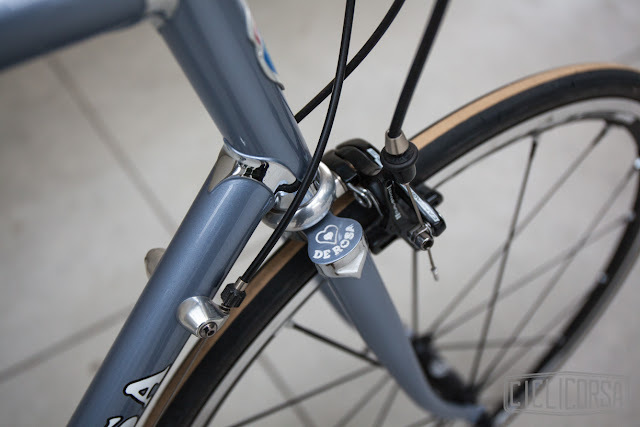 The frame has chromed lugs on the head tube and a chromed chain stay - typically classic. 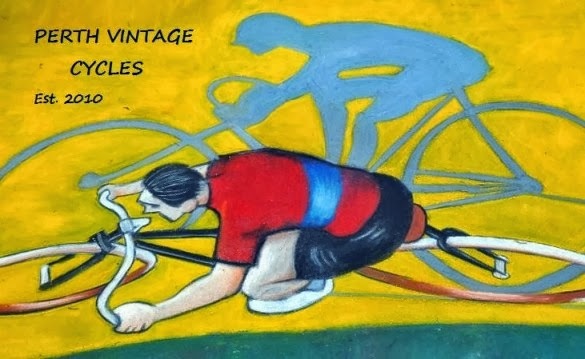 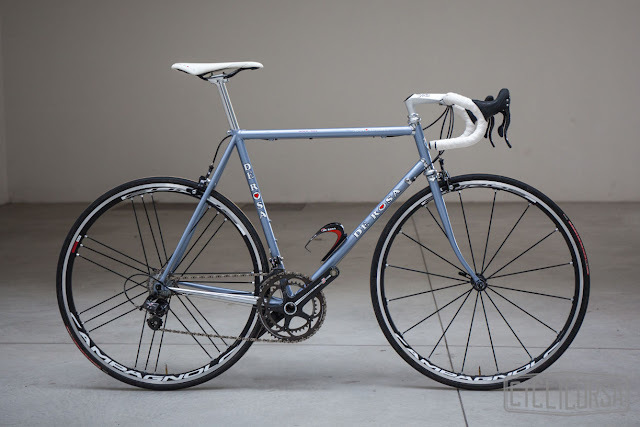 You can still have a vintage styled steel bike with the absolute convenience and reliability of a modern drive train. 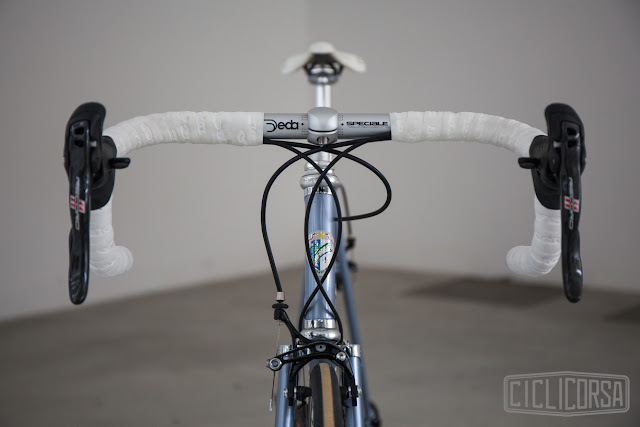 I love steel.....but for me the drawcard to this frame is the De Rosa pantograph work on the fork crown (image #6). 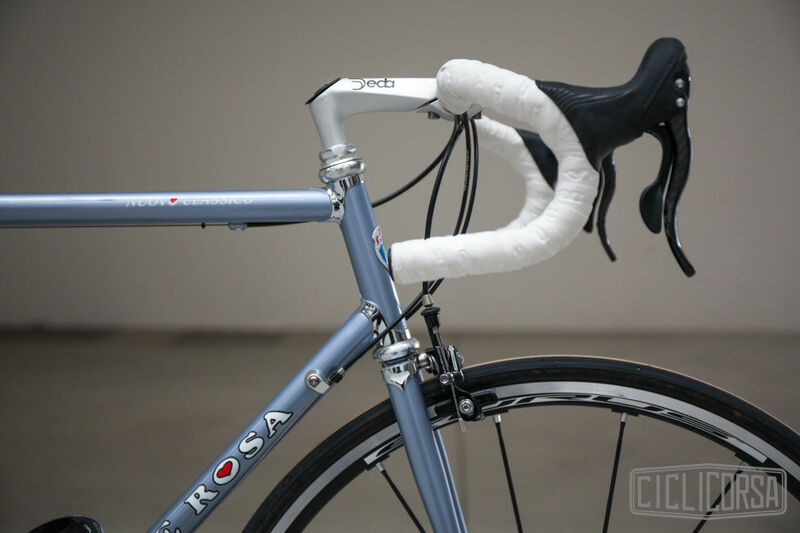 De Rosa have faithfully maintained this beautiful element in their steel frames - something that other manufacturers have simply forgotten. 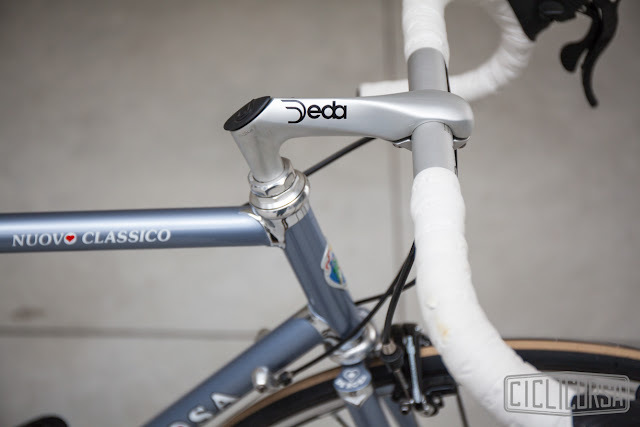 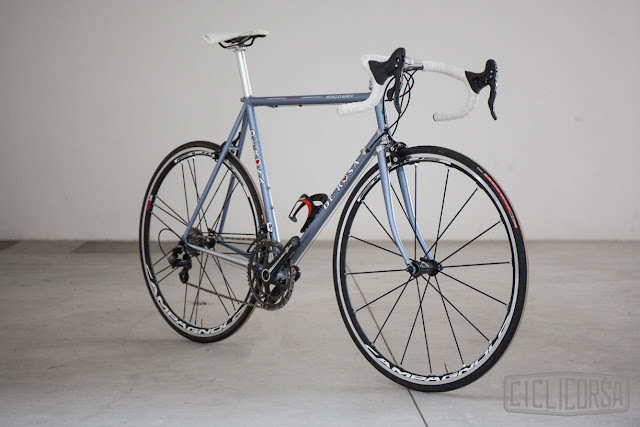 Thanks to 'Ciclicorsa' (Italy) for the images, have look at their impressive website for more De Rosa models.